This tool adjusts the row height in the selected cells so that you can read or print the entire content of the cells. works on merged cells too. ignores data in hidden columns for determining the row height. In addition to the standard functionality in Excel this tool also adjusts the height properly on merged cells (where 'wrap text' is set). In Excel itself the auto adjusting of the row height often doesn't work properly on merged cells. 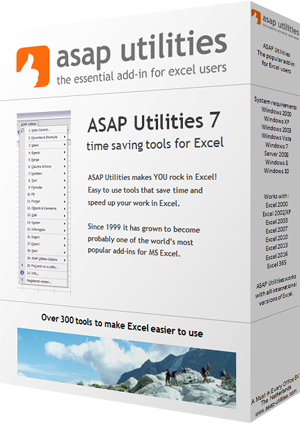 And unlike Excel itself, this tool adjusts the row height based on the visible cells in the row only. Any data in hidden columns in your selection is skipped. Excel's built-in "AutoFit Row Height" does not exclude hidden columns so the row height is then also based on the values in hidden columns. If you change the contents afterwards, then you need to run this tool again to have the row height adjusted.